No matter how perfect a design may be, just how well suited that design will be for the client’s family, friends, and lifestyle can still be challenging for a client to truly understand. That’s why adding thoughtful, personalized details is a great way to help the client see that a design is not just beautiful. It’s also exactly right for their family. Helping the client select just the right “outdoor living elements” is an excellent way to help a client choose the space that they’ll enjoy entertaining and relaxing in the most. Two of those outdoor features popular with homeowners: outdoor kitchens and fireplaces. Both are not only popular with homeowners seeking to create a welcoming outdoor space perfectly suited for entertaining and relaxing. 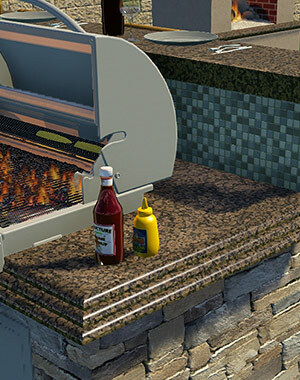 Outdoor kitchens and fireplaces are also very easy to customize with the right tools. Whether it’s an extensive outdoor kitchens with everything a family needs for their next barbecue or a relaxing fireplace positioned in just the right spot to admire the sunset — Pool Studio, VizTerra, and Vip3D make it easy to create those custom features that homeowners love. Anywhere, at any stage, for any yard. And Vip3D’s Carve Mode for hardscapes, planters, and other custom shapes now also offers the option to speed up personalized designs even more by creating, cutting, and carving holes — exactly where you need them. With the Carve Tool, quickly customizing the details is a breeze: it’s easy to create a hole in the outdoor kitchen to place the sink or make a fireplace vividly realistic with a custom firebox and chimney cap. Note: This video builds on a number of tools and techniques. Want a refresher before diving in? 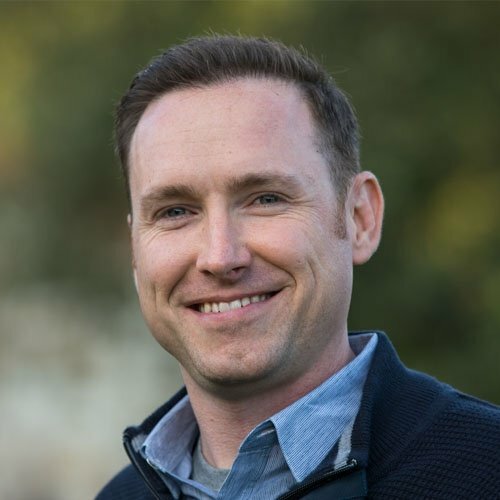 Check out the fundamentals series to brush up on time-saving tips, tricks, and tools. Whether your client wants a show-stopping gourmet kitchen with all the bells and whistles or a simple prep station to make grilling easier — 3D design software makes it easy to add the custom outdoor kitchen you need. Once you’ve chosen the style — for example, an L-shaped kitchen — the line tool makes it easy to plot the dimensions quickly. In fact, if you already know the exact dimensions that you need, you can use type the measurements in directly. Lip Style: The lip height and style can quickly be adjusted. It’s also easy to draw a custom lip style and apply the new style to your countertop. Countertop Surface: In Materials, it’s quick and easy to choose from many countertop finishes, including granite, limestone and tile. Bar-height counters: The height of the counter takes no time at all to adjust. For a bar-height counter that will accommodate bar stools, for example, simply use the drawing tools to create a base and countertop in Custom Shapes. For many homeowners, the sink is just as important as the grill! 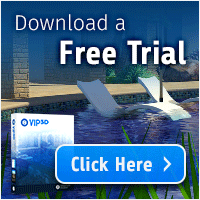 Featuring a beautiful and functional custom sink is easy to do in Vip3D as well as Pool Studio and VizTerra. 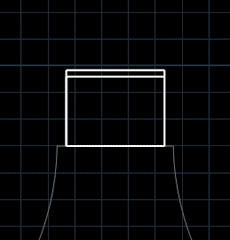 In Vip3D, Carve Mode makes it possible to draw holes inside of shapes that have already been created. 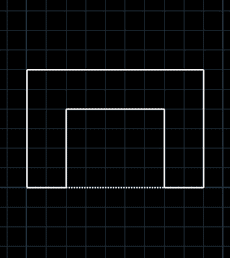 To create a hole for the sink in Carve Mode, simply draw around the sink with the line tool. Unique fireplace designs are another popular element that can serve to help a client understand just how beautifully suited for their family a design really is. A wide array of drawing tools and materials — including stone and fire effects — make it easy to create the perfect custom fireplace for any client. Plus, Vip3D’s Carve Tool now makes it a breeze to carve out exactly the shape you need, exactly where you need it. Quick Tip: One great way to design a fireplace quickly is to draw it “flat” on the ground and then rotate it upright when finished. Doing so makes it easy to line up drawn shapes perfectly instead of needing to draw and rotate each piece one by one. Use Carve Mode to create the firebox, start by drawing a simple rectangle firebox and setting the desired height, or thickness. To create space for the Inner Hearth, enter Carve mode. The new hole for the hearth will be instantly visible in 3D. In order to make sure that the back of the fireplace is solid, check the Depth box under Hole settings, and set the value to what you need (for example, two inches less than the full size of the example shape). Once the depth has been updated, the hole will not cut through the back portion in 3D but instead will leave 2-inch back on the shape. The chimney is a vital component of any great fireplace — and Carve Mode makes it especially quick to create. First, draw another rectangle and use the arc tool in Carve Mode to create a tapered shape: with the arc tool, create the curve, and then complete the shape to form the hole. To add the same curve to the other side, simply copy and paste the hole, mirror it under Object Modification, and place the hole on the other side of the shape. 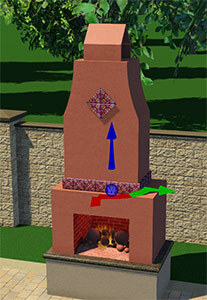 Finishing off the chimney with a cap can be done in just a few clicks: first, draw the side profile of the cap in 2D. 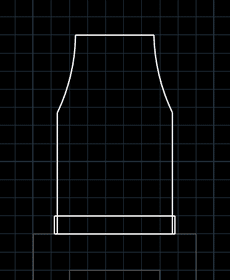 With Carve Mode, create the opening, and then rotate the chimney cap in 3D (for example, 90 degrees) so that the opening lines up with the chimney. When you’ve created a spectacular outdoor kitchen or beautiful fireplace it’s a great idea to save it to your library — complete with all of the accessories that add the perfect finishing touches. Now you can quickly insert your newly created template into a future project. Ready to design your next outdoor kitchen or fireplace? Show your clients exactly how enjoyable their new outdoor kitchen and fireplace will be when you customize the details that transform their yard into the welcoming space they want. Give Vip3D’s Carve Tool a try and see how quick and easy it is to carve out exactly the shapes and hardscapes your clients want — whether changing the height of the counter or adding a beautiful pendant. And we’re here to help: if you have any questions, leave a comment, give us a call at 800-778-899, or send us an email at support@structurestudios.com.